The phrase “The Circle of Life”, for individuals of my age demographic, typically conjures up images of Timon and Pumba. Hopefully I did not pull you into this blog under false pretenses but unfortunately the title is the only relation to the famous Disney movie. My hope is that you will continue reading in order to find out what “The Circle of Life” has to do with microfinance and Kiva. First off, let me introduce you to the place, which is not Africa. For this circle of life I will be showing you around the workings of my MFI placement in Manila, Philippines. My MFI placement is called Center for Community Transformation (CCT). I have been working with CCT for just a week and already had a whirlwind introduction to what was microcredit services at birth and has transformed into a diverse body of services to enhance the lives of their “partners” in Metro Manila and to the greater body of the Philippines. Prior to starting my Kiva fellow duties associated with their microfinance activities, the staff at CCT wanted to introduce me to the breadth of services they offer so I can understand how my participation in their microcredit services is contributing to a much bigger picture. I am going to bring you along on the ride, so you can get a glimpse of this bigger picture as well. Microfinance services- My first two days here I got to travel to several field offices of CCT, in order to see individual lenders and community lending meetings. One of these areas is just outside of Manila and it is called Payatas. 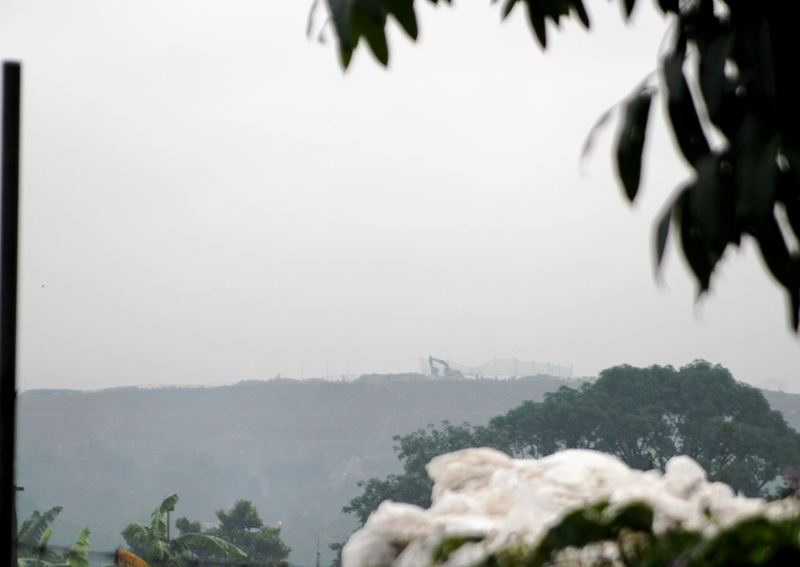 This place is home to Manila’s infamous trash mountain called “The Smokey Mountain” (please see links on bottom for more information). Here many of the entrepeneurs own junk shops to clean and re-sell the items that have been scavenged from the nearby infamous “Smokey Mountain”. Health services- In this same field office I was introduced to just a portion of the services offered by CCT in their field offices. Here the CCT staff look for individuals that show leadership and consistency in participation in order to recruit them to be health partners for individuals undergoing Tuberculosis treatment in their area. The reason this is important is because the treatment for TB is a daily, six month long treatment that requires much support to complete correctly. If left to themselves, TB patients will often not complete the treatment without support. Feedings for Kaibigans (Tagalog for friends) aka Street dwellers- Manila is home to a large community of street dwellers. CCT has developed a transitional program to help individuals, who desire to do so, get off of the streets and find housing, mentorship, job training and school services for their children. Trade/job training- for the Kaibigans in areas of trade that include construction, janitorial work, sewing and agriculture (rice farming). School services and job skills for Kaibigan children- CCT has constructed several schools (by Kaibigan construction workers) to provide boarding and school services to students of all ages. In addition to this, they provide trade and job skill training to the teenage students. Agricultural services- for those Kaibigans who choose this areas of speciality they get to move out of Manila to help manage the rice fields and agricultural areas that are a part of the CCT portfolio . Not only do they earn a wage and food for their home/community, the food goes to supply the on-going Kaibigan feeding program from which these individuals came. Jobs- CCT provides jobs to the Kaibigans that go through their training programs as well as increased leadership opportunities for the entrepeneurs that show potential in these areas. The janitorial staff work at all of the CCT field offices (spanning the Philippines), the construction workers help build the buildings going up for CCT’s growing programs and the agricultural workers get to help raise the crops for the feeding program. Support and create community water programs- CCT finds local spiritual communities to become partners in supply affordable and safe drinking waters to low income areas. Through the water program, CCT is able to offer more jobs to Kaibigan to run the water purification process and packaging. CCT also works with local microentrepeneurs so that they can sell the safe water products. The aforementioned items are a part of the whirlwind orientation I received over the last four days. I hope you enjoyed the ride as much as I did. 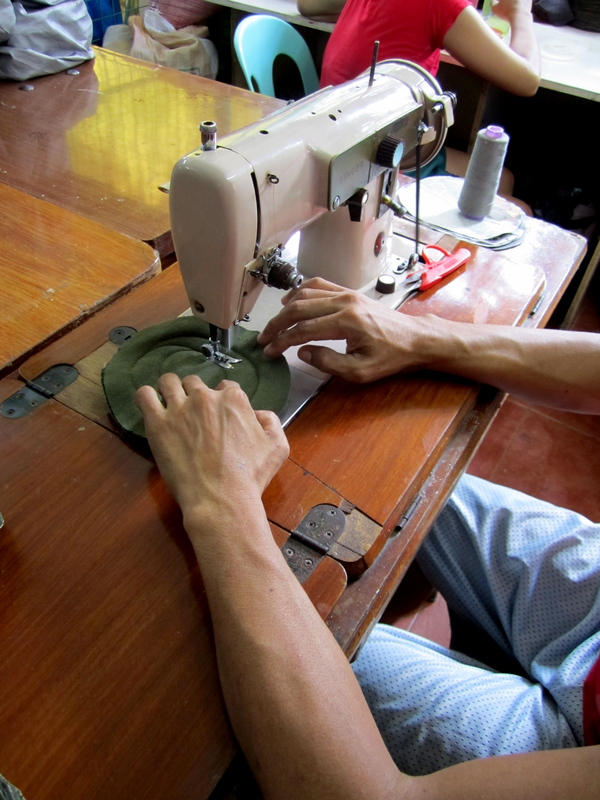 These programs grew out of what was initially just microcredit services. It became a circle where borrowers become health partners and community leaders and former street dwellers find homes, get jobs, supply their products and skills to enhance CCT’s day to day functions. A CCT field staff and I were talking over my time in orientation and she kept emphasizing to me this element of spiritual transformation, long term growth/vision and sustainability. Together we joked about this “circle of life” that CCT is trying to provide. At the end of four days, it is not so much a joke but a serious and inspiring vision to me. Jill is a Kiva Fellow (KF16) currently serving with the microfinance institution CCT in Manila, Philippines. In addition to seeing micro-finance work first hand, she’s looking forward to personally assisting food vendor micro-entrepreneurs across the Philippines to increase their revenue. Please be a part of this movement and check out more about the stories of CCT, the Philippines and Kiva. Visit Kiva.org and CCT’s partner page (http://www.kiva.org/partners/1440). Entry filed under: Anti-Poverty Focus, Client Voice, Facilitation of Savings, Family and Community Empowerment, KF16 (Kiva Fellows 16th Class), Social Performance, Vulnerable Group Focus. Tags: Anti-Poverty Focus, blogsherpa, CCT, Center for Community Transformation, Client Voice, Facilitation of Savings, Family and Community Empowerment, KF16 (Kiva Fellows 16th Class), Kiva, Kiva Fellows, Manila, microcredit, microfinance, microlending, microloans, Philippines, Pinoy, social performance, Travel, Vulnerable Group Focus, Women, www.kiva.org..
Hey nice blog, follow my travel blog too please..
Jasmin- Thank you for looking at the blog. It is great to connect with Fillipinos who desire to see change in the country. Stay connected to the blog for further updates and feel free to see CCT’s partner page to see all of the work they are doing. I do hope you can help the people in the area. I am a Filipino and I really admire people like you who want to make a change.